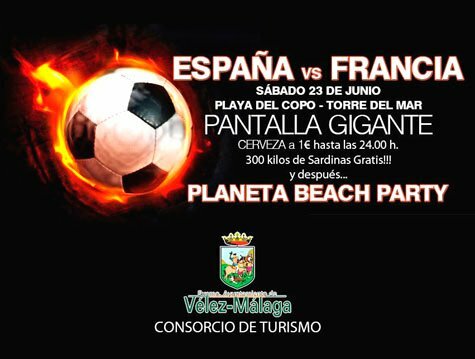 Last night, we joined the beach party at Torre del Mar to celebrate the summer solstice, but first, there was the small matter of a football match – Spain were playing France in the quarter finals of Euro 2012! A huge TV screen had been erected on the stage where the live music would be performed later in the evening, and everyone was vying for the best position to see the match. 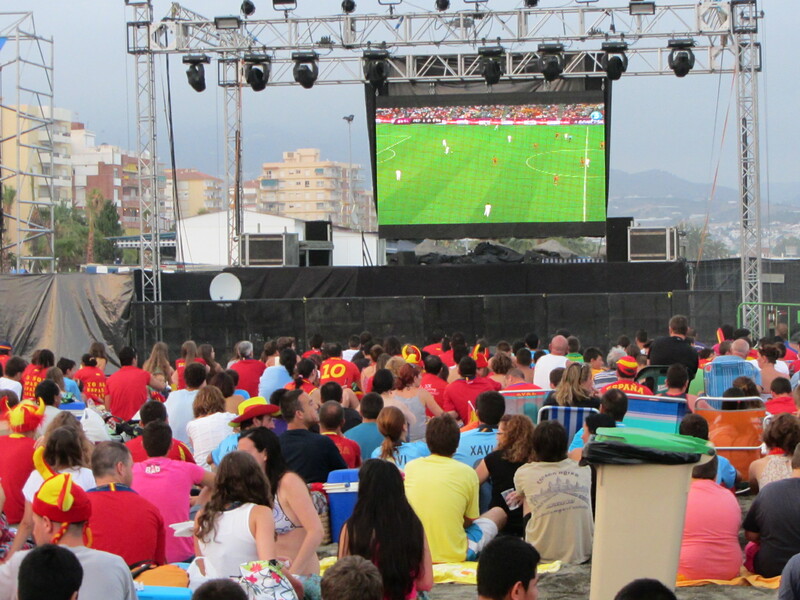 I´m sure you can imagine the atmosphere when the goals were scored and Spain won their place in the semi-finals! In the meantime, there was much work to be done. 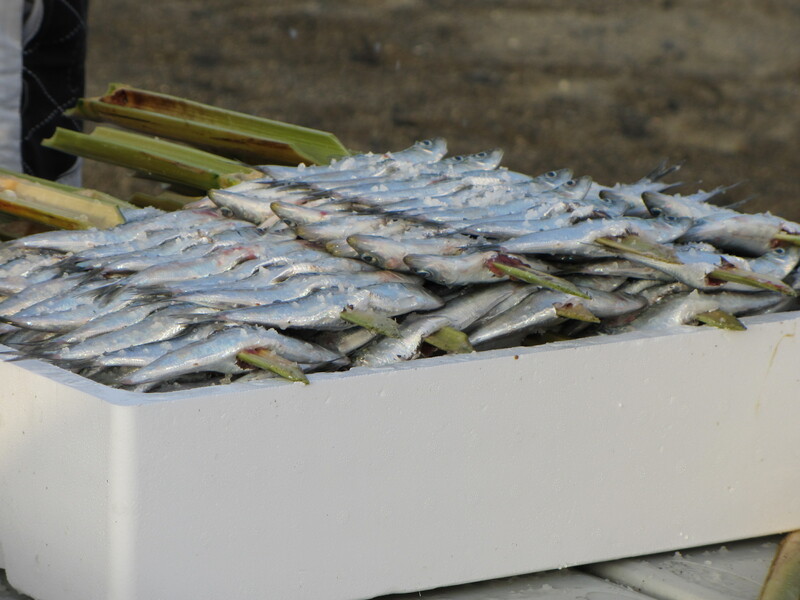 Long lines of wood were being set alight in preparation for the hundreds of kilos of sardines that were to be barbecued and given out free, later. 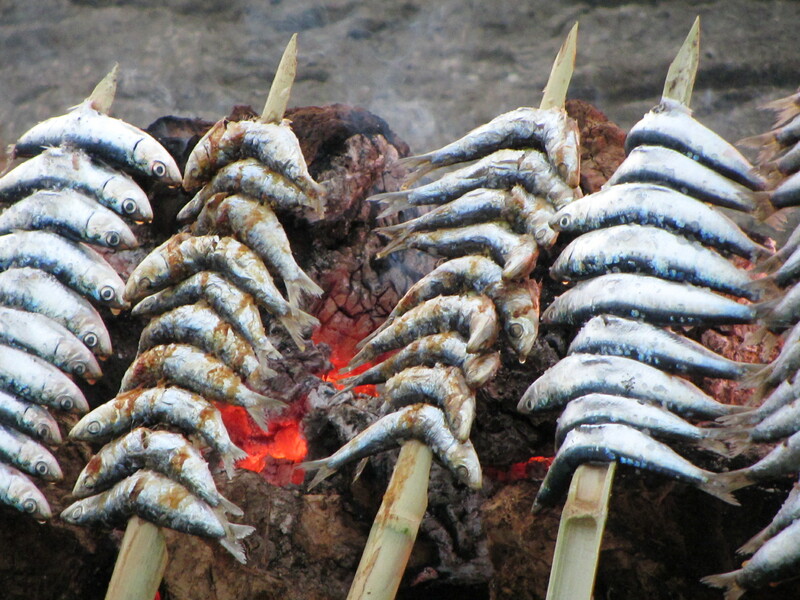 A team of guys were sharpening bamboo skewers and threading them with sardines ready to be cooked. 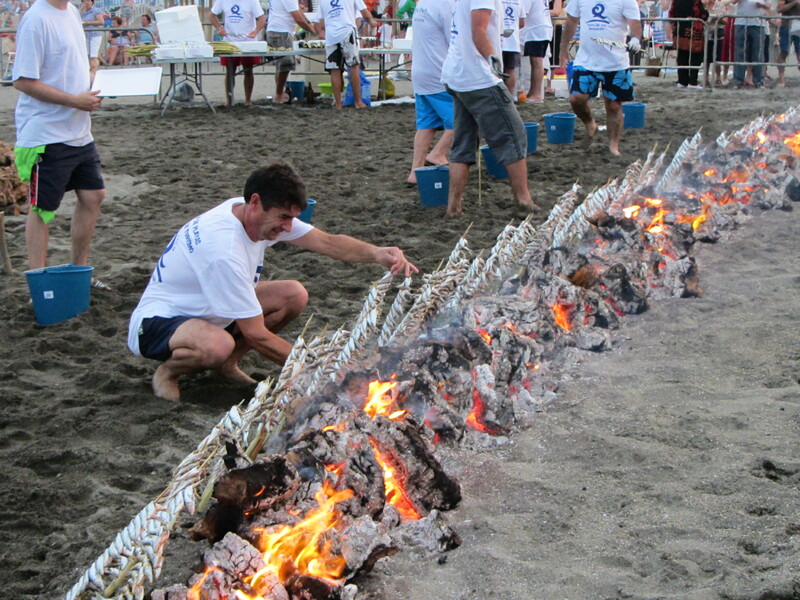 La noche de San Juan is the only time of the year when bonfires and camping are allowed on the beach, so many people take advantage, bringing their own BBQs and tents to spend the whole night partying, dancing and drinking with their friends. It´s a lovely atmosphere with people of all ages joining in the fun, including groups of old ladies and children. As with all celebrations here in Spain, whole families enjoy the festivities together, without any threat of drunken yobbos spoiling the fun. 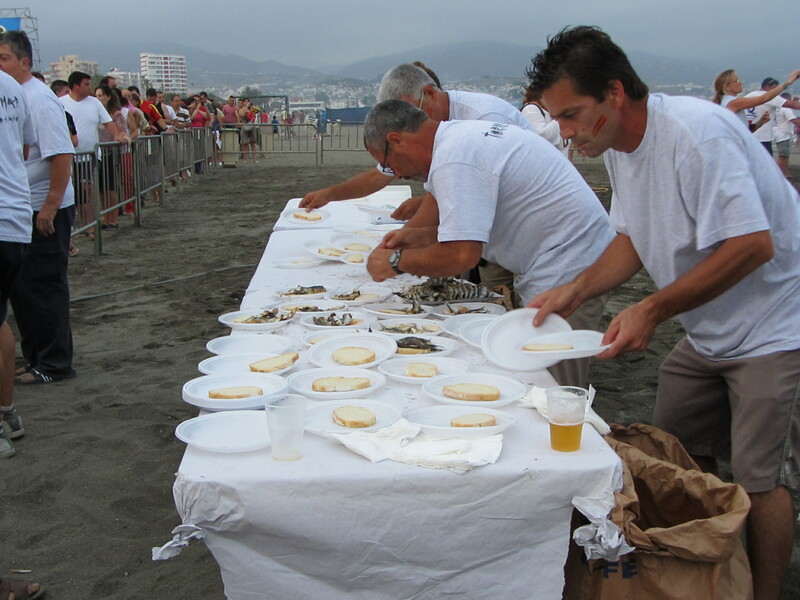 La noche de San Juan, in honour of St John the Baptist, is not a religious gathering. 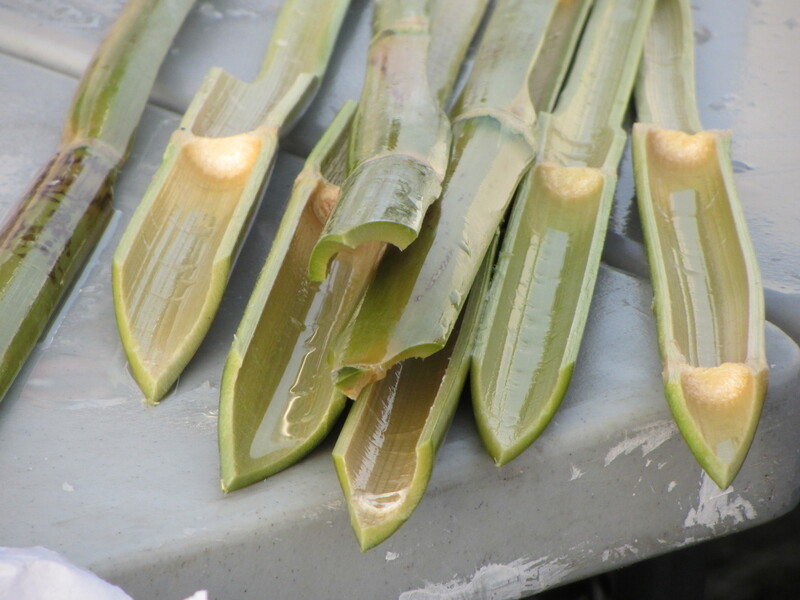 It is about change – night into day, fire and water, with many cleansing rituals associated with it. According to tradition, if you jump over a bonfire on this night, and rush into the sea at midnight, your body and soul will will be cleansed and purified. 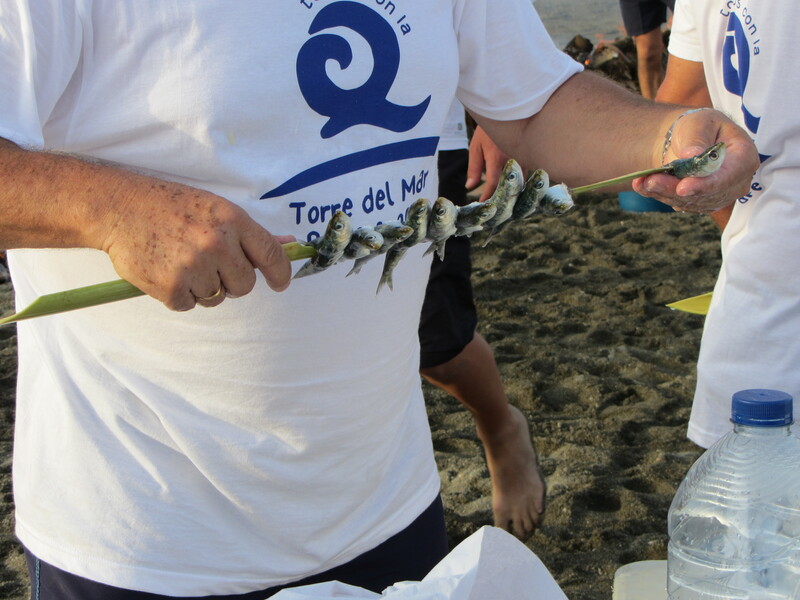 What it´s really all about is families and friends getting together and eating, drinking and just having a great time! Think Isle of White festival without the mud! 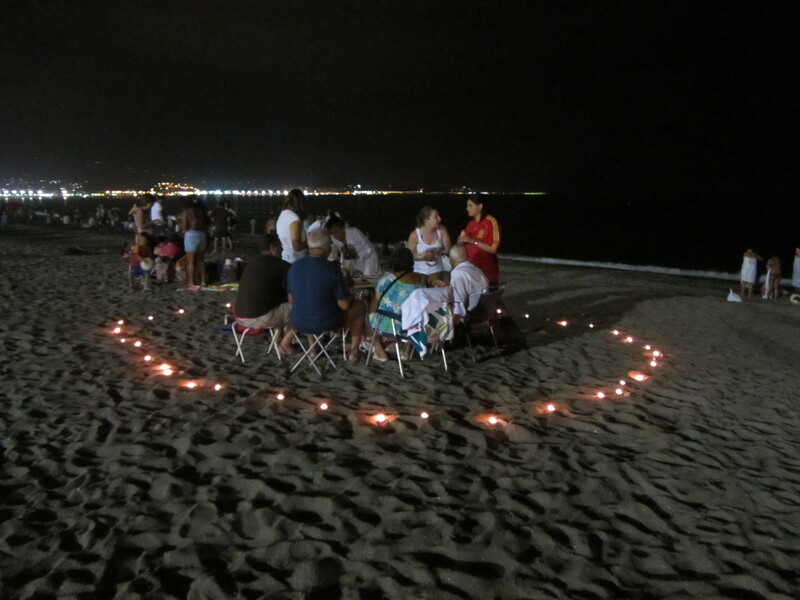 La Noche de San Juan is a Midsummer Night´s Dream – Spanish style! 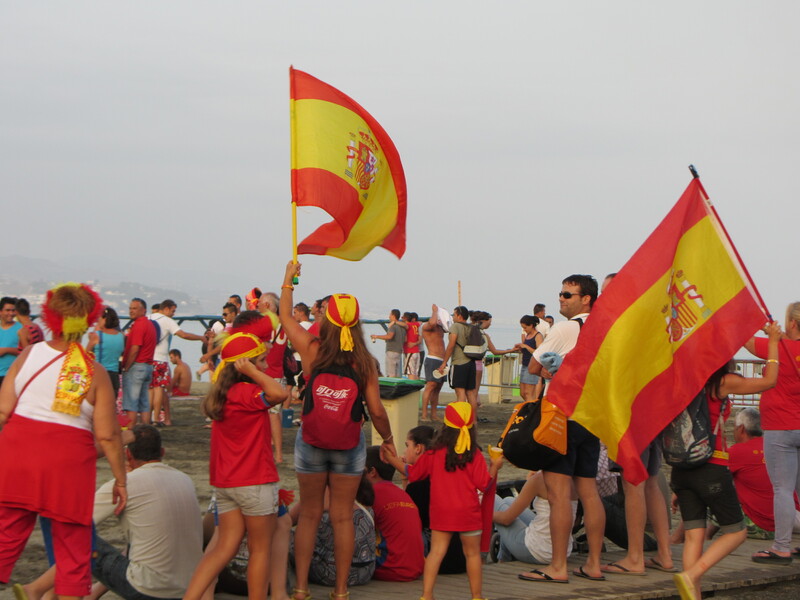 This entry was tagged Andalucía, East of Malaga, Euro 2012, fiestas, football, San Juan, Spain, travel. Bookmark the permalink.